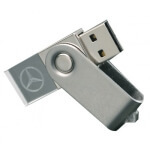 Elegant & luxury USB flash drives with class! Make a fashion statement and promote your business with style. 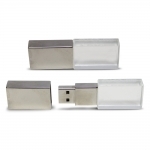 Your logo on a luxury USB flash drive will make sure that you deliver your brand's message with high impact and great success. These designs are the ideal motivator for the fashion industry, weddings, jewelery shops as well as to target your female audience and to deliver an exquisite statement & marketing message that they certainly can't resist and empowers you to effectively reinforce your logo and increase brand awareness.